One of the main permits for travel to Tibet is the Tibet Travel Permit, sometimes known as the Tibet Tourism Board Permit. It is a must for all travelers to Tibet from outside China. International travelers must all have a Tibet Travel Permit in order to get into and travel around Tibet, and the only way to do this is through a registered Tibetan tour operator. The permit is so important, that it is actually impossible to even board a train or flight to Tibet without it. 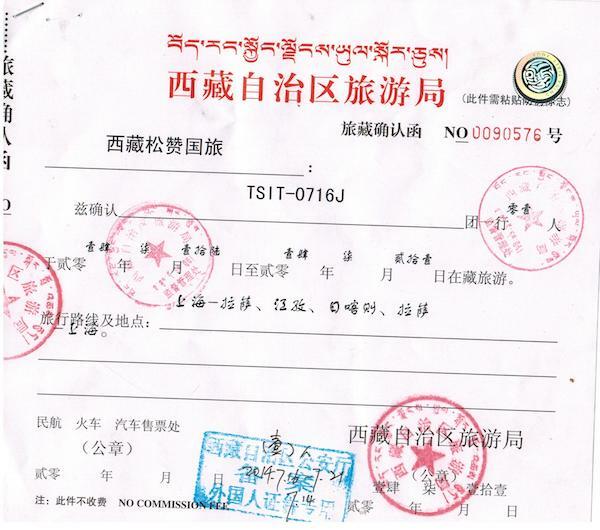 The Tibet Travel Permit, one of several permits needed for Tibet. In order to obtain the Tibet Travel permit, there is a certain procedure that must be followed, and if it is not done properly, you can be stopped from entering Tibet, which will ruin your vacation. For your benefit, and to ensure that you get it done properly, here are the processes and procedures for obtaining a Tibet Travel permit and enjoying your tour of Tibet. The first thing you need to know about the Tibet Travel Permit is that you cannot apply for it yourself. The permit is issued by the Tibet Tourism Bureau in Lhasa, and only applications from approved and registered Tibet tour operators will be approved for travel. In order to get the Tibet Travel Permit, you will need to be part of a pre-booked tour of Tibet with a registered tour operator, who will provide you with an approved itinerary, a private guide, private driver, and private vehicle. As well as making all the arrangements for your tour, from the hotels, tickets, and passes for the attractions you will visit while in Tibet. 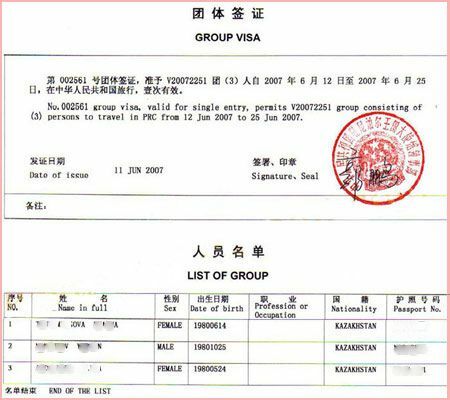 All of this information is normally recorded on the permit in Chinese, with the exception of your name, and the details of the permit and the categories are also all in Chinese. While this may seem a little hard to understand for those that do not speak or read Chinese, the permit is actually designed to be read by Chinese police and military officials at the airport, train station, and various checkpoints into and around Tibet, many of whom speak very little English. Once you have found the tour operator you want to use, you need to discuss your requirements for your tour of Tibet, and confirm your itinerary for your tour of Tibet. This is important since the permit cannot be applied for without a confirmed itinerary. Once you have booked and paid the deposit on your tour, we will make the application on your behalf as your tour operator. Using scanned copies of your passport and visa (for entry via China), we will make the application with the Tibet Tourism Bureau in Lhasa. All of the information given above regarding the entries on the Tibet Travel Permit must be provided to us and must match exactly the same information in your passport, or your application will be declined. Processing for the Tibet Travel Permit normally takes around 15-20 days, though some applications can take a little longer. The original copy of the Tibet Travel Permit is only required for travelers making their way to the plateau by flight, as the original document is required to be able to board the flights to Lhasa. However, for travelers using the trains to Tibet, a photocopy or scanned copy is adequate for boarding the trains, so if you are short on time when getting to China, your TTP can be emailed to you to be printed for travel by train. For those traveling by flight, we will forward your permit to your hotel room in China, which can take around five days, so you should allow this much time for receiving the permit from us before your date of travel. For those entering Tibet from Nepal, the same procedure applies for obtaining the Tibet Travel Permit, with the exception that your visa is not required for the application. The standard Chinese Entry Visa is not valid for entry from Nepal, and your visa will be obtained once you arrive in Kathmandu. You need to be in the city at least five working days before your date of travel to Tibet so that your Group Tourist Visa can be applied for on your behalf. Our agent will meet you in your hotel to request your passport and will use that and your Tibet Travel Permit (which he will already have in hand), as well as the other required permits, to process your visa application. 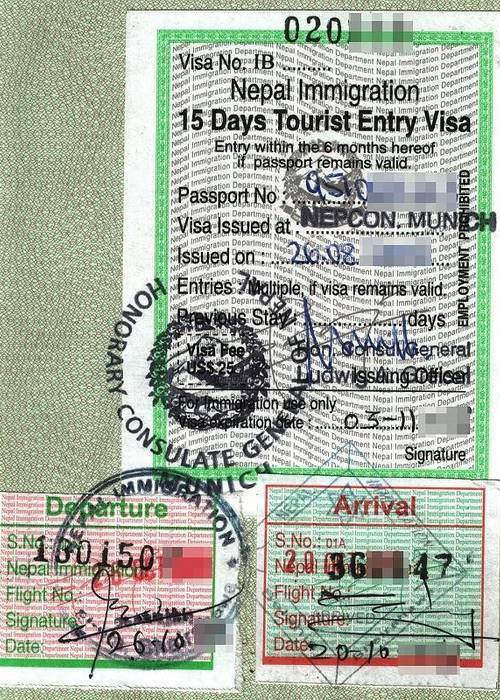 Processing takes three working days, and if applied for on Monday morning before 11:00 am then your visa should be ready for collection by our agent by lunchtime on Wednesday. For those traveling through mainland China, you need to apply for your visa in your home country before traveling, as this is required to obtain your Tibet Travel Permit and China does not have any Visa on Arrival service. Visas can be applied for at the Embassy of the People’s Republic of China, either by personal application or by postal application for those countries that have a postal application service. The standard 30-day Chinese Entry Visa requires a valid passport with at least six month’s validity remaining, a completed application form, two passport-sized photos, a complete itinerary of your tour in China, proof of onward or return travel and proof of hotel booking in China. Citizens of certain countries are also required to provide proof of the availability of funds for the trip to China, such as bank statements, to prove that you can support yourself without illegally working in China. When making the application for a Chinese Entry Visa, it is essential that you do not mention that you will be traveling to Tibet, as this will cause complications with the approval of your visa application. 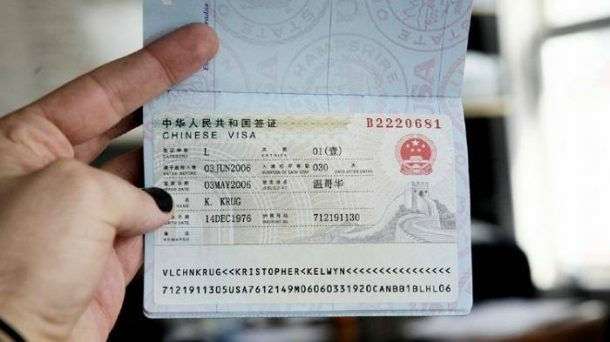 According to the immigration rules, a visa cannot be issued for anyone intending to travel to Tibet without the Tibet Travel Permit being included in the application, yet it is impossible to get a Tibet Travel Permit for entry to Tibet from China without a valid visa already having been issued into your passport. An itinerary for a trip to China is not as rigid as the itinerary for Tibet, so it can be changed with the minimum of fuss.